Formula 1 is undoubtedly the number one racing event in the world. It is one of the most watched sports and is ranked 9th globally in terms of revenue generation. The FIA has lined up 21 Grand Prix events this year and the latest of them is going to be held in Montreal, Canada on June 10. With ten teams and 20 drivers there is a lot races to bet on in F1 racing. We’ve brought you the best bets for you to win some serious cash during the Canadian Grand Prix. What more, you could even use some amazing free bet offers and make the most of this information! Before moving on let’s take a quick preview of the events leading up to this race. The Monaco Grand Prix was the sixth of the year. Australian Daniel Ricciardo of Red Bull was at his impressive best there and won his second race this year. However there was an issue with his MGU-K component and now he faces a grid penalty for the same. Lewis Hamilton of Mercedes is also a favourite to win in the Canadian Grand Prix given his dominant performances there over the years. While F1 dropped grid girls starting 2018, it hasn’t dulled the glamour and excitement surrounding the sport. Let’s get to the business then. Here are the top three bets that you should consider. Hamilton has won a total of six races here and that to in impressive manner, three consecutive victories and four wins in the last six races. It would be a safe option to get him at plus-money before his value decreases. The great Michael Schumacher has seven victories in Canada and Hamilton would be determined to make history in matching his record. Hamilton rides on this track like he’s been practicing here all year and it was evident when he cruised to a +19.783 victory last year. He’s surely the best option for betting on a first place finish ahead of the practice runs. In the last six races Haas’ Magnussen has managed three top ten finishes, in Spain, China and Bahrain. His performance in Monaco was substandard but that had more to do with the race track. His driving inclines more on the risky side, with overtakes and all. His style is exciting but the Monaco track is not suitable for it. For a driver of his ability and on the rise a top 10 finish at -150 is a decent bet to place. He’s been at Renault but it didn’t work out well. His current boss opines that the lesser teams are best suited to get the best out of Magnussen. The last six races have seen the fastest lap stat being dominated by the Red Bull team. 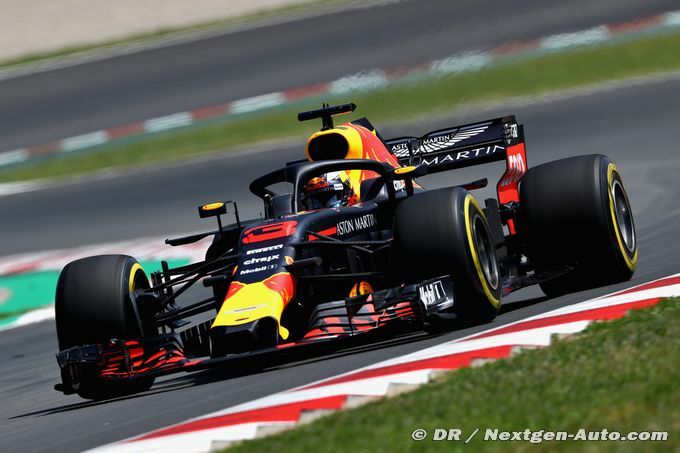 Both Daniel Ricciardo and his teammate Max Verstappen have claimed the fastest lap thrice each. The grid penalty means that Danny Ric will have to begin the race from behind. So the odds are against him. But it still promises to be a great bet. Certainly sounds like the way things will go. Was not aware that these new hybrid devices had 2018 grid spot penalties for failure. Is the MGU-K the motor connected to regenerative braking recharge? I don't think these predictions were bad ones, just not fully right. Gary a écrit: I don't think these predictions were bad ones, just not fully right.